Everyone does it. But how big is the question. 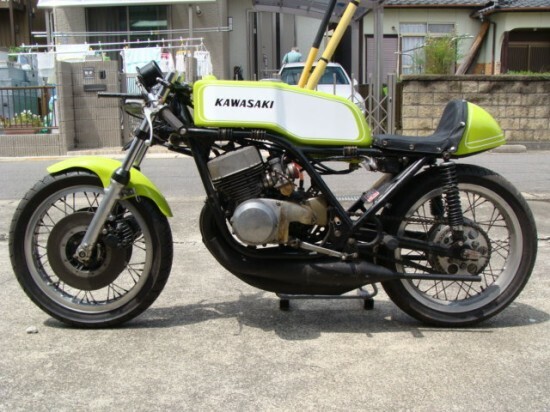 Its one thing to pick up a candy bar at the check out counter, its another thing to head over to eBay right now and plop some money down on this 1969 Kawasaki H1R. With a buy it now of $32,000 and less then 12 hours to go, that’s a lot of candy bars. 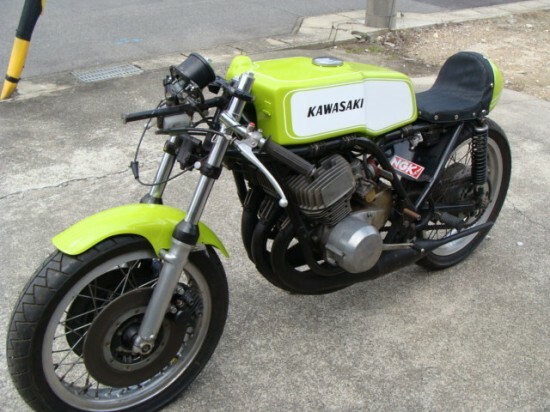 Kawasaki H1R Bike was sitting past 10years after last race. Bike has compression and sift thru all gear. 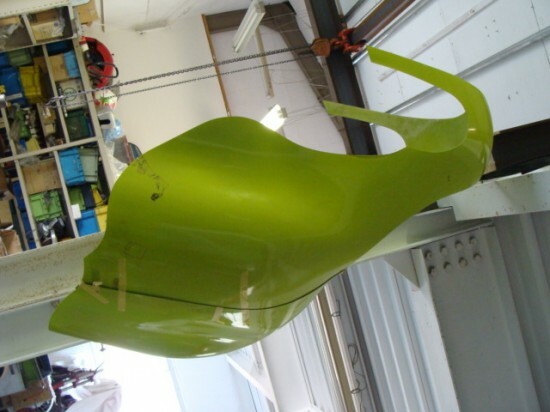 I just put new paint(by two-pack urethane coating) for gas tank, front fender and seat. Seat has new cover, too. I just worked cosmetic. 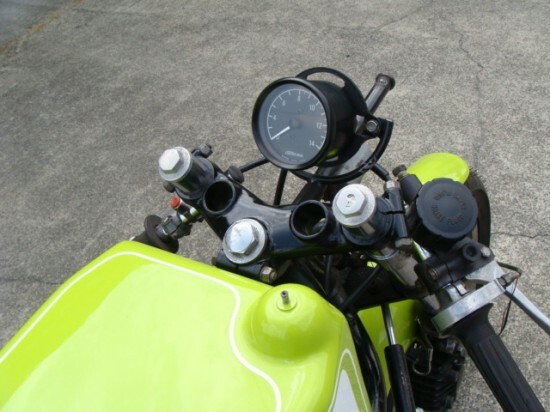 Bike need front brake hose and master and caliper need to be overhaul. Does not has frame no. stamp and just original “Made in Japan” stamp on stemhead. 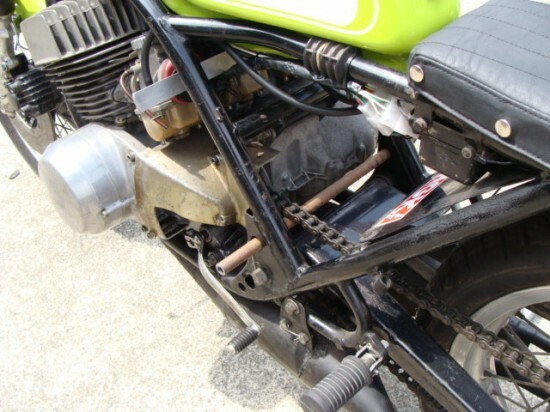 This is original Kawasaki replacement frame. Cranke case is not original H1R. I will help world wide shipping. 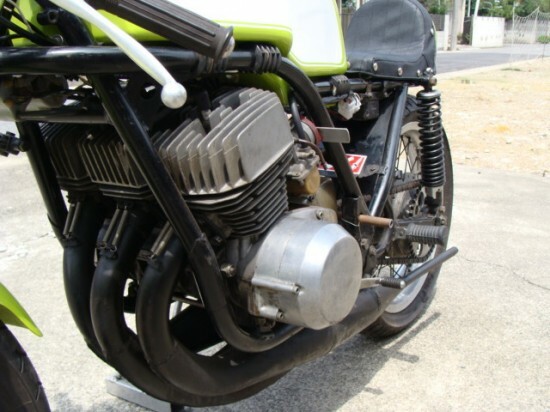 Not real nice H1R but has many original racing parts on. I have nos fairling (original green FRP) and screen(just made up for match).